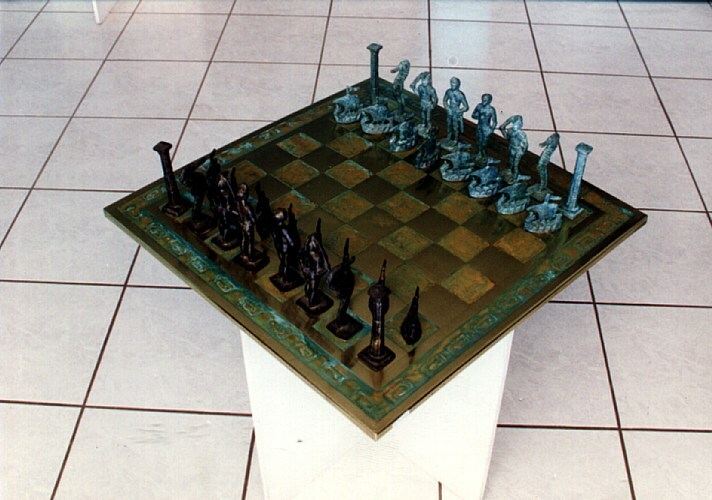 MEN:Hand-made chemically oxidized,cast-bronze statues covered in metal varnih. 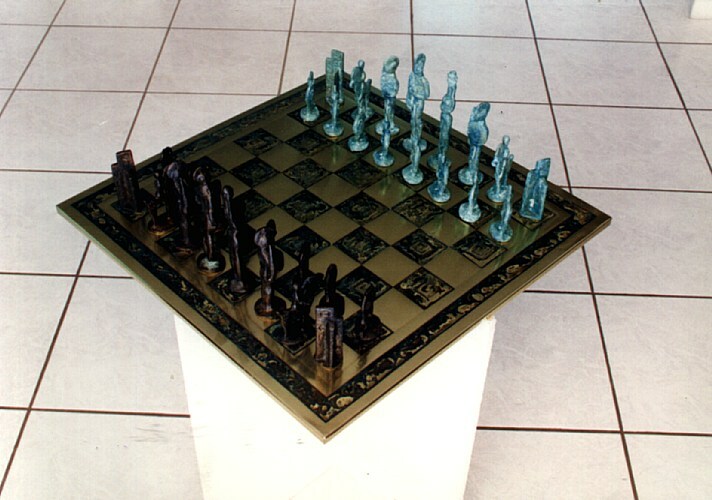 BOARD:Oxidized leaf of bronze,covered in metal narnish and stamped with different Greek symbols(owl,axe,meander, etc)placed on wood. 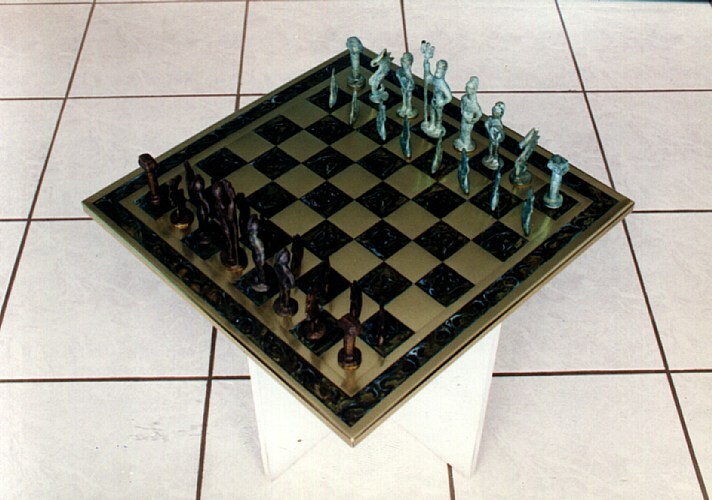 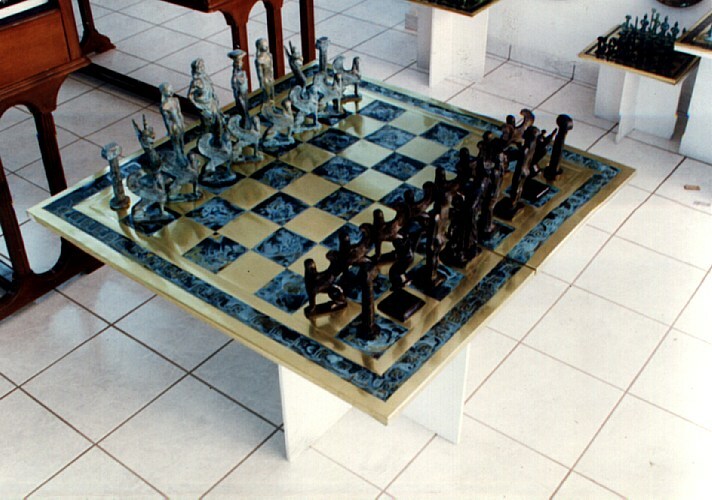 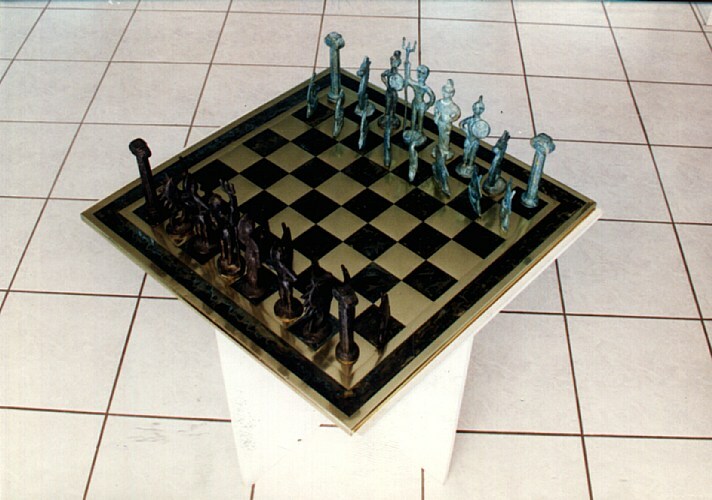 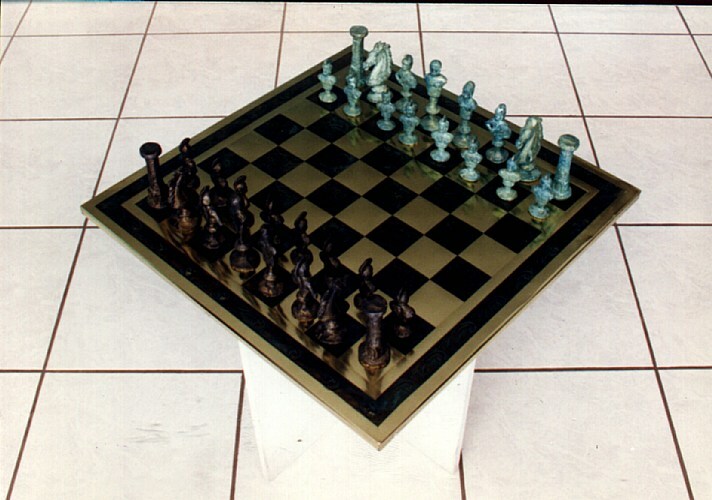 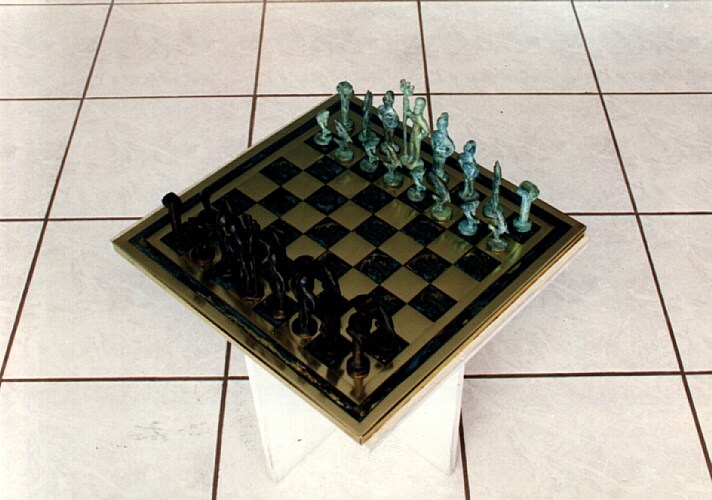 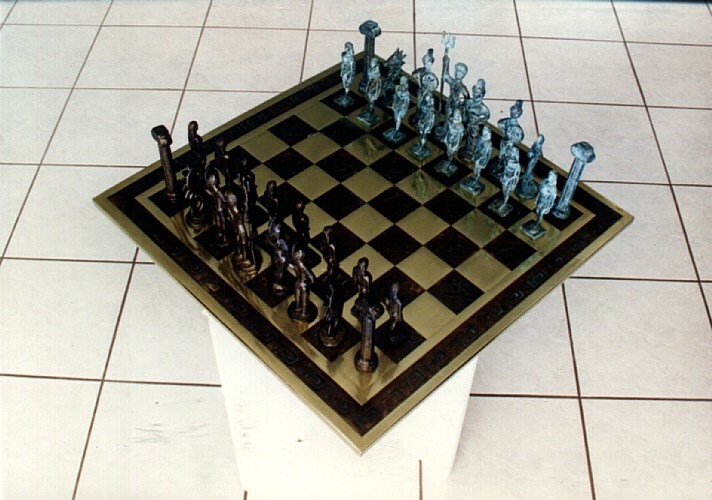 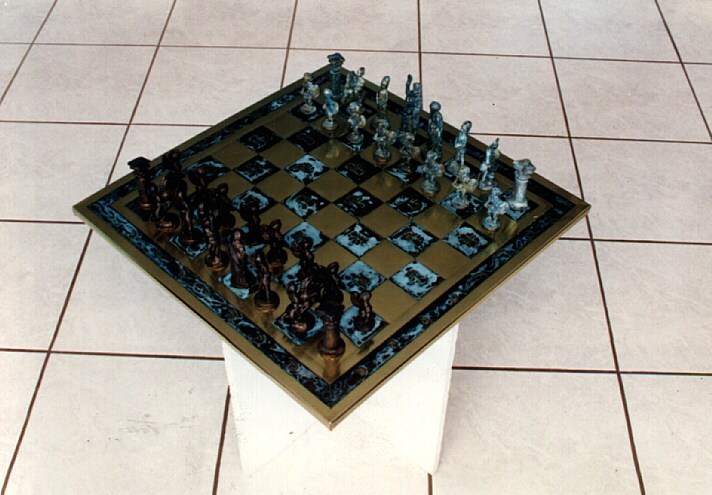 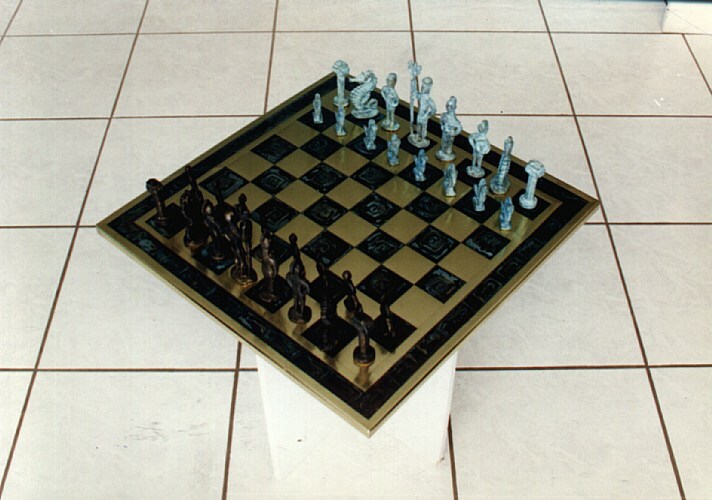 This chess set is one of the twenty pieces of this model-series created specifically for chess fans.On each board there is a guarateed serial number.After the twenty pieces are sold the men will be replaced by others.